Highlead HLK-03BT electronic bartack sewing machine with 16 different pre-programmed patterns to suit most standard bar-tacking operations. 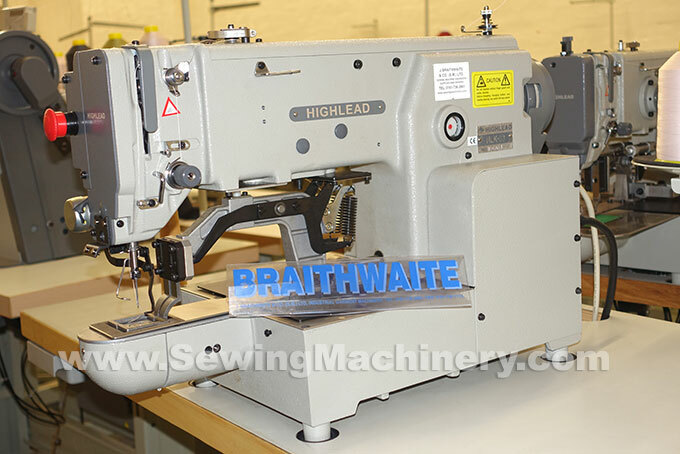 High speed single needle lockstitch bartack sewing up-to 2500 stitches per minute. 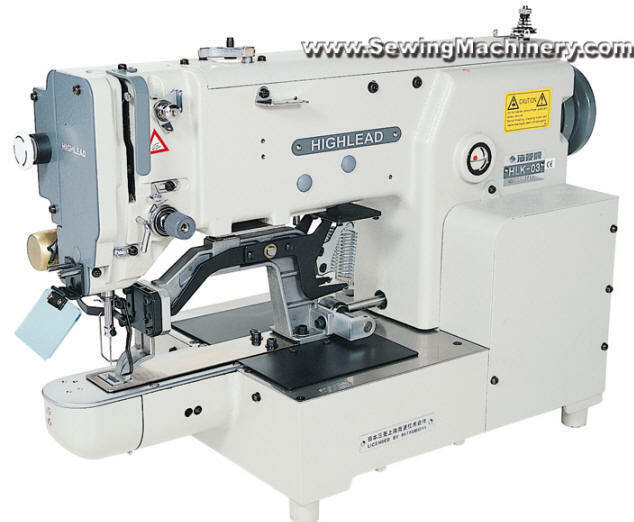 The maximum sewing speed is user controllable, in 10 speed steps, from 200 to 2500spm. Tacking patterns can be freely scaled between 10% to 200%, of their original size, by using the simplified push button operator control panel. X & Y axis can be scaled independently allowing the freedom to adjust length or width (or both). The machine is programmable* and features an internal storage memory. If the pre-programmed tacking patterns are not suitable, then the machine can be re-programmed* with-in a 30x30mm sewing area. Custom patterns up-to 8000 stitches can be added and 100+ patterns can be stored internally. Optional & custom made pattern clamps can be fitted with-in as little as 10 minutes after removing the pre-fitted bartack clamps. The Highlead HLK-03BT is manufactured under licence using Mitsubishi’s proven PLK technology, the electronic systems, control devices, Limiservo X-G series motor and other key parts are manufactured by the Mitsubishi Electric Corporation in Japan. Pre-programmed standard bar-tack patterns include 21,28,36 and 42 stitch patterns (others patterns included 12,14,20,25 and 70 stitch). Programmable* to accept custom pattern styles. 100+ can be stored in internal memory. Tried and tested reliable high quality PLK design & electronics. X-Y scale control for easy size adjusting.